Foundation Programme (FP) is an ongoing, twice-weekly course on Buddhism and meditation. The course is suitable for anyone who has already attended regular drop-in (GP) classes and/or day courses at the Centre and who is interested in taking their understanding of Buddhist meditation and wisdom further. It is also an opportunity to become more involved in community activities and events. We can enjoy the friendship and support of fellow practitioners as well as the joy of helping to flourish Dharma at our Centre. We will be starting the new book, Joyful Path of Good Fortune by Venerable Geshe Kelsang Gyatso Rinpoche, on 14 November 2018. If you are interested in joining the programme please contact us using the form provided. When you join the Foundation Programme you commit to studying one section of a book. This can take differing lengths of time depending on which book is being studied. Although we wish for happiness, ignorance leads us to engage in negative actions which are the main cause of all our suffering; therefore we need to develop our wisdom. If we do not cultivate a good heart, a selfish motivation destroys harmony and good relationships with others. We have no peace and no chance to gain pure happiness. Without inner peace, outer peace is impossible. If we do not maintain a peaceful state of mind we are not happy even if we have ideal conditions. On the other hand, when our mind is peaceful we are happy even if our external conditions are unpleasant. Therefore, the development of these qualities is of utmost importance for our daily happiness. In each class there are guided meditations, teachings on the book and discussion in pairs. There is a group discussion approximately every 4th session which enables students to ask questions, discuss and clarify the meaning of the text. 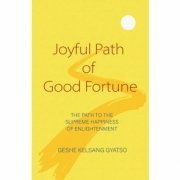 Joyful Path of Good Fortune by Geshe Kelsang Gyatso. A clear and comprehensive explanation of the entire path to enlightenment. We all have the potential for self-transformation, and a limitless capacity for the growth of good qualities, but to fulfil this potential we need to know what to do along every stage of our spiritual journey. 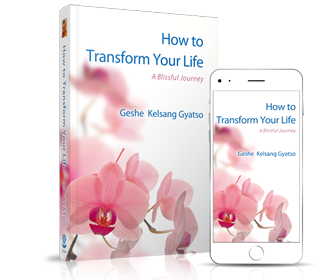 With this book, Geshe Kelsang offers us step-by-step guidance on the meditation practices that will lead us to lasting inner peace and happiness. With extraordinary clarity, he presents all Buddha’s teachings in the order in which they are to be practised, enriching his explanation with stories and illuminating analogies. This is a perfect guidebook to the Buddhist path. 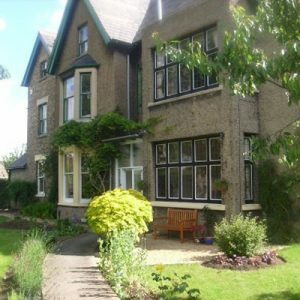 The current fee is £40 per month. 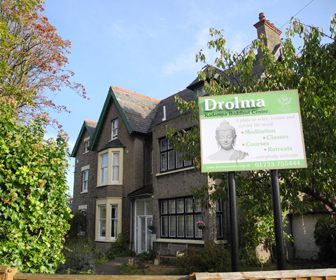 This fee also entitles students to free entry to all classes and most day courses (not including food, social or away events) at Drolma Centre as well as most Branch classes and courses. There is also 50% discount on our annual empowerment. Please ask us for details. In order to facilitate your learning we offer flexible study options so you can participate in the study of meditation & Buddhism that is suitable for you. Class attendance – FP is taught at the centre and the usual method is by attending as many sessions as you can manage. It is very beneficial to attend these classes to meet with fellow students and share your experiences as well as develop and enjoy the support of a spiritual community. Distance learning – For students for whom travel is an obstacle, there is an option to receive the teachings via downloads. Please contact us at info@drolmacentre.org.uk to discuss this option.